The first lift-served bike park in Texas opens January 18th with a fixed-grip quad called the Texas Eagle. What was once the longest triple chair on the continent is officially off the Sunrise Park trail map. Pajarito does a rope evac of the Aspen lift on opening day. Simultaneously, Whitefish evacuates East Rim, which goes over quite the cliff. Breckenridge brings out the ropes for the Quicksilver Super6 the same day. 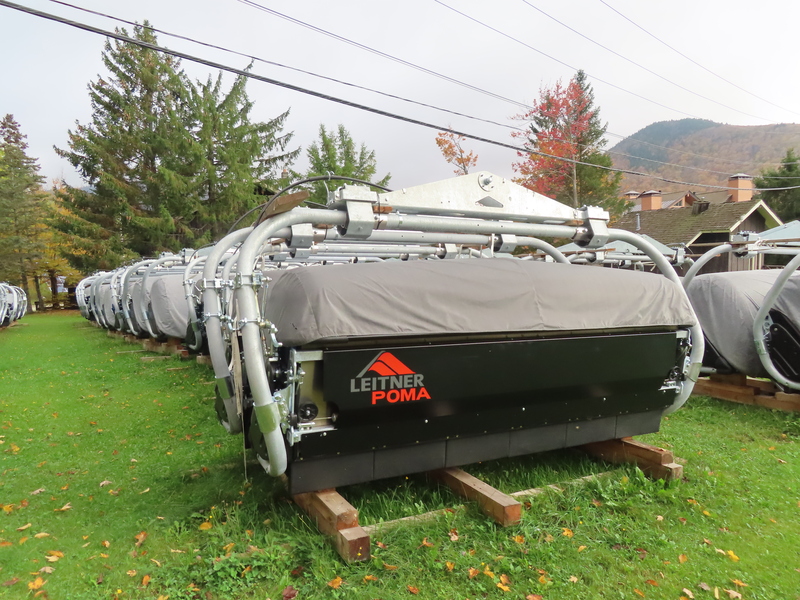 Yet another lift is rope evacuated at Loch Lomond, Ontario. 39 lawsuits have been filed against The Hermitage Club and its founder to date. Attitash provides daily updates on Summit, which has been down a bunch lately. Hickory, NY won’t reopen this winter. 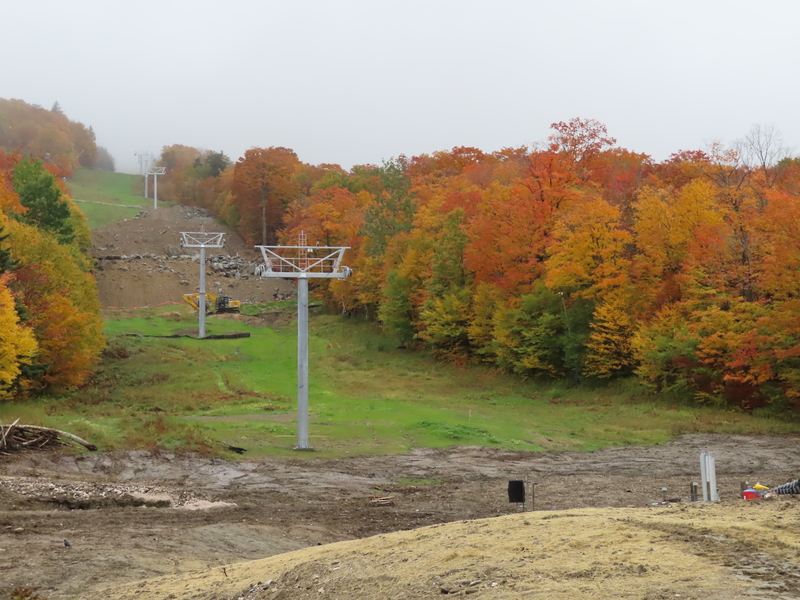 Killington still plans to open the new South Ridge quad sometime this winter. Map master James Niehues gives up on retirement and is painting a new trail map for Mt. Bachelor. 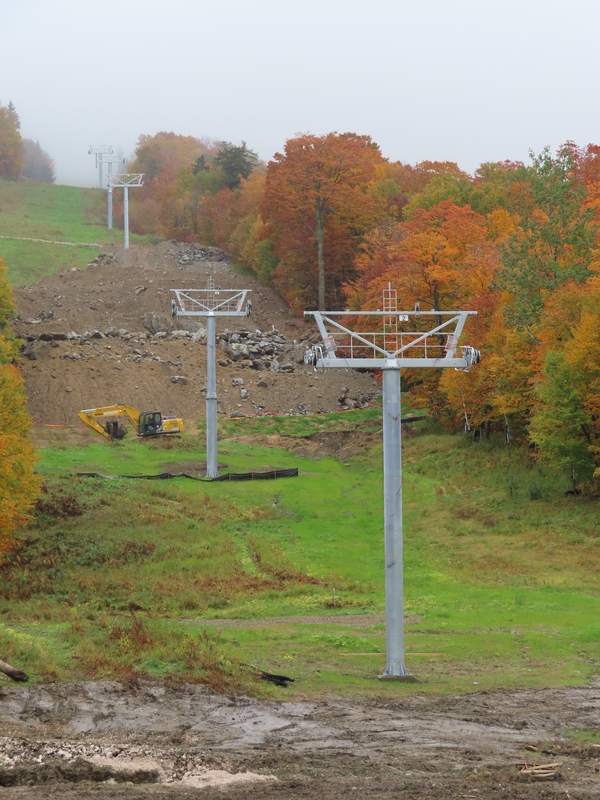 The planned race training T-Bar at Sunday River is a go for this summer. A teenager dies from a chairlift fall at Blue Mountain, PA.
A lucky nine year old keeps on skiing after falling 40 feet from Solitude’s Moonbeam Express. A teen girl dies after jumping from a quad chair in Quebec. Greater Vancouver’s transit agency still wants to build a gondola up Burnaby Mountain but needs funding for it. Alyeska sells to a Canadian hotel company. Rockland Estate, the new adventure park in St. Maarten anchored by two Skytracs, wins Innovative Shore Excursion of the Year at the cruise industry’s global trade conference. Alterra moves to replace Squaw’s Red Dog with a six-pack in a new alignment to make room for the proposed California Express. Edmonton’s urban gondola concept has a team and a name: Prairie Sky. A $75,000 study of San Diego concludes a gondola could attract 1.1 to 1.6 million passengers annually. Bloomberg asks independent ski areas a question: Are Epic and Ikon counterproductive to growing skiing? 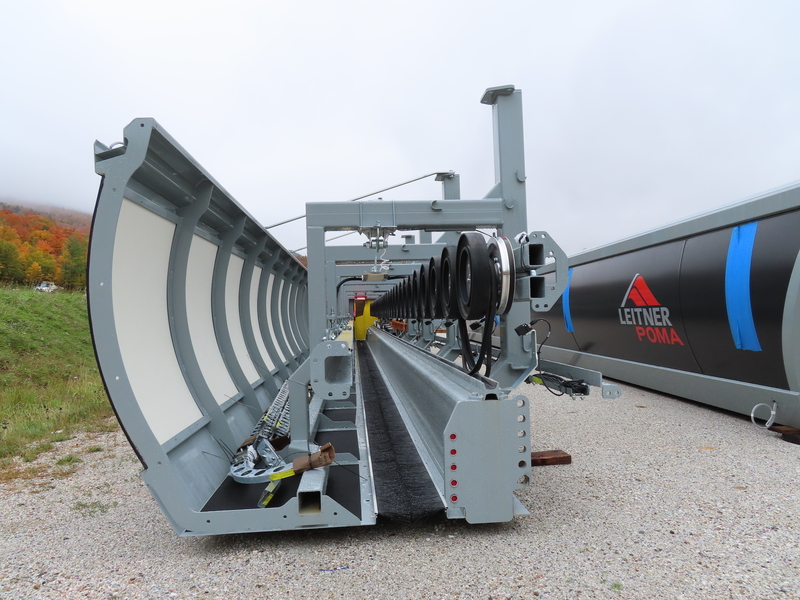 Bogotá takes the urban gondola plunge with TransMiCable by Doppelmayr. I can think of a few ski areas which would benefit from a mining company gifting three new lifts, as happened at Smokey Mountain. Attitash retires the Top Notch double after 50 years of service. New lifts mean new trail maps for Sun Peaks, Mt. Spokane and Loveland. 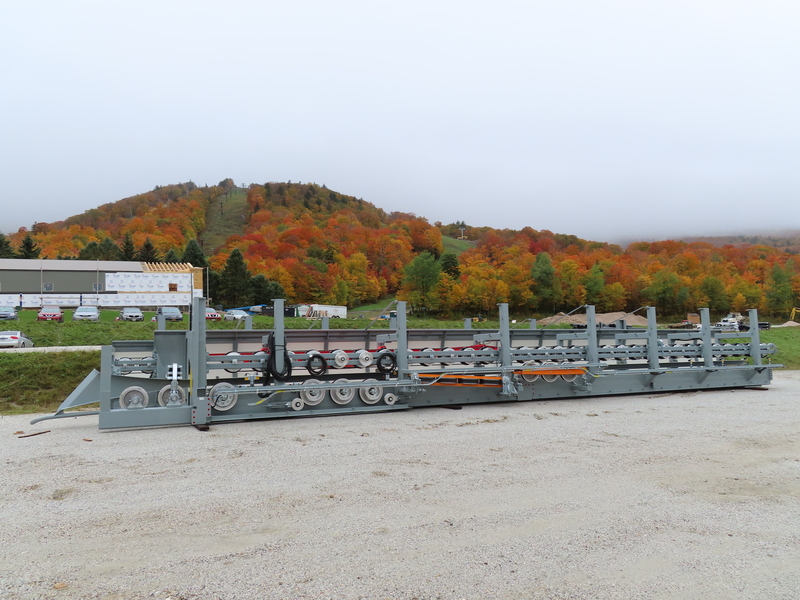 The average detachable chairlift has 108 carriers while the average fixed grip lift has 103. Most people would assume the longest lifts have the most carriers but that’s usually not the case. 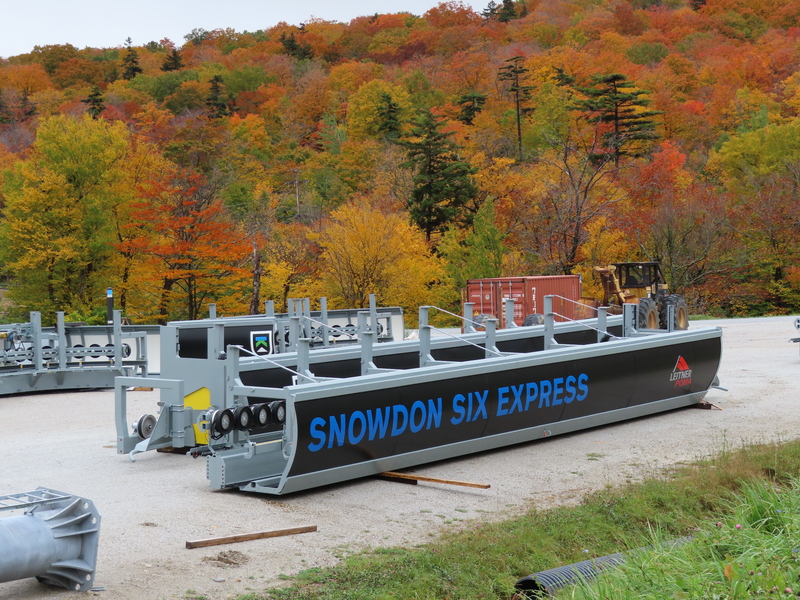 One of the reasons is longer spacing on detachable chairlifts and gondolas. Also many long fixed-grip lifts get designed with lower hourly capacities and bigger spacing to save money. In fact, only one of the top ten lifts with the most chairs is also among the ten longest. Each of the lifts below has more than 200 chairs and, not surprisingly, all but two are fixed-grips. What about gondolas? There are a bunch of them that stretch two-plus miles. Even so, no gondolas come close to making this list. The Sunshine Village Gondola has the most cabins in North America with approximately 175 CWA Omegas and the Whistler Village Gondola comes in at number two with 160 Sigma Diamond cabins. The average North American gondola has just 74 cabins. Now, who can guess which lift has the most towers?